By plane The closest airports to Kodaikanal are Madurai 120 km and Coimbatore 175 km.By train Nearest railhead is Kodaikanal road. Kodairoad Station is nearly 80 km. By car Reach Kodai Road80kms Rs.1000/- aprrox,Dindigul or Madurai and then take a cab to Kodaikanal. Ask the resort to arrange for the pick-up. The drive from Kodai road takes approximately 2 hrs while the drive from Madurai takes approximately 3 1/2 hours and from Dindigul it takes about 2 hrs. From Cochin/Kochi(kerala) it is 295 kms via the hill station of Munnar(kerala).The route to be taken is Kochi-Muvattupuzha-Kothamangalam-Adimali-Munnar-Devikulam-Poopara-Bodi-Theni-Kodaikanal which is the NH49 Kochi-Madurai. Coakers Walk– If you wish to catch the scenic valleys, the best time to visit the place would be before 2PM. But if you want to watch snow-like clouds (only in winter) beneath you form an ocean, reach the place between 3PM and 6PM. Try and catch the sunrise here or in the nearby Greenlands Hostel. A marvel. Also try out the telescope near the main gate. Bryant park – A must see. Its main entrance is on the road surrounding the lake and is a 10 minute walk from the entrance to the boat club. Kodai Lake– If you are going in Winter, do the boating in the evening, as its an amazing experience to boat through fogs settling on the lake. Kurinjiandavar Temple – about 4 km from the lake is a temple whose presiding God is Lord Muruga. The flowers inside the temple bloom once in 12 years. 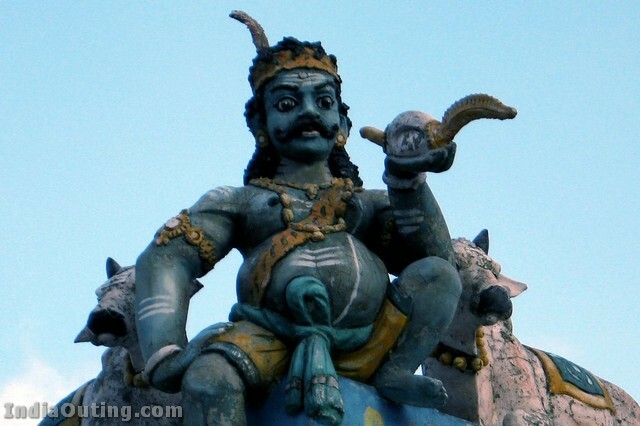 One can get a view of the Palani Hills and the Kodaikanal Town from this temple. During the winter, the view of Kodai city and Palani from the two ends of the temple is blocked. However, in summer, the visibility is good and hence the experience too. Green Valley View/Suicide Point– has a more than 5000 ft steep drop from this point. The monkeys are a good attraction at this point. Renamed Green Valley View, apparently to prevent people from being lured to commit suicides. Pillar Rocks – huge steep cliffs which look like “Pillayar” (Lord Ganesh in local language Tamil). Watch out for the cross at the top of the mountain hoisted by an English adventure enthusiast. Devil’s Kitchen – a cave known more to the locals, in between “Green Valley View” and “Pillar Rocks”. Watch out for the deep hidden ravines. What would appear like mere dark gutters are actually a deep fall. Many unsuspecting people have fallen prey to the “devil’s trap”. So,watch your step! Guna Caves – a cave which became very famous after the movie GUNA. Very steep and risky to get in. Think public are not allowed to enter this cave nowadays. A very good place to take pics.. Cycle around the lake – and watch the clouds while they slowly descend onto the water; cycles are available for hire at the lake on an hourly basis. It is possible to cycle to other places although cycling one way will be difficult due to the hilly terrain. Do check the cycles before setting out. 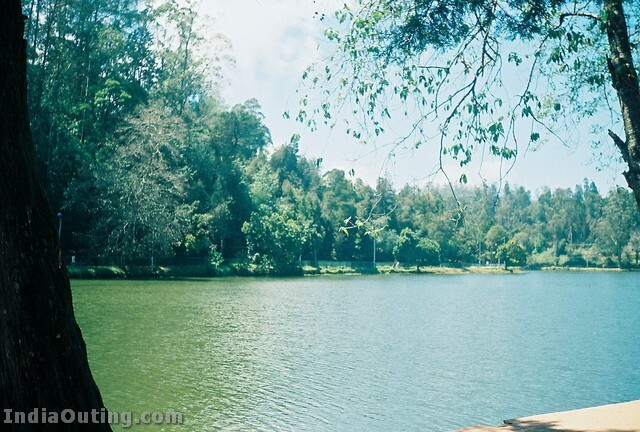 Boating at the Kodai lake – paddle and row boats are available at the lake. Entrance is via the Kodaikanal Boat Club. 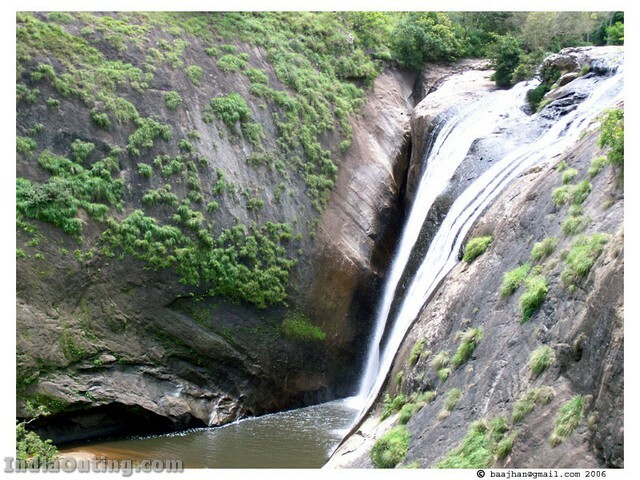 Trekking – Kodai offers several scenic trekking spots, including one which is to walk along the stream which goes to dolphin nose. Kodai tourist office has a trekking guide which is available for free there, which lists all the possible trekking routes and difficulty levels. The tourist office advises people to take guides and offers to provide them, although this is not necessary. An easy trek is the Perumalmalai trek which is the tallest mountain that area. 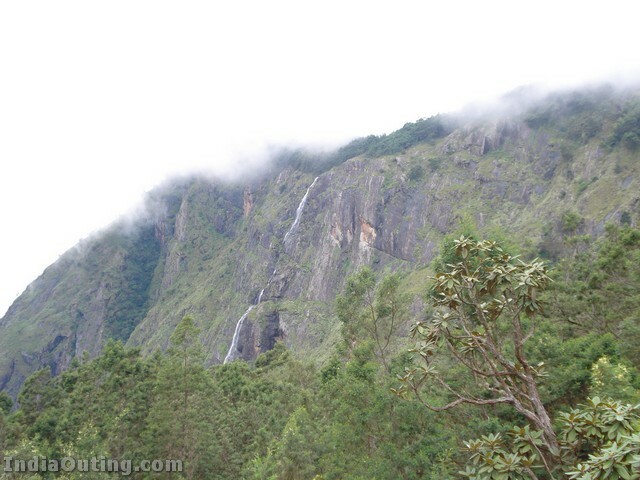 Wander About – Kodai has numerous waterfalls and beautiful views not mentioned in the tourist guides, so wandering about can bring you to some spectacular place. Horse Riding – Right near the front of the entrance to the boat club, you can rent a horse (with the trainer) to take you around the lake. Cheese Factory – Various Cheeses. Home made Chocolates – Kodai’s shops are stocked with home made chocolates. These are a lot cheaper compared to the major brands. Eucalyptus Oil and herbal oils– A Variety of oils that claim to relieve joint pains and other aches are also available at every shop. I think it is ‘the place’ for an adventure enthusiast who also appreciates its pristine beauty. Tamil Nadu Government should promote this place internationally. Thank you for the Good collections. 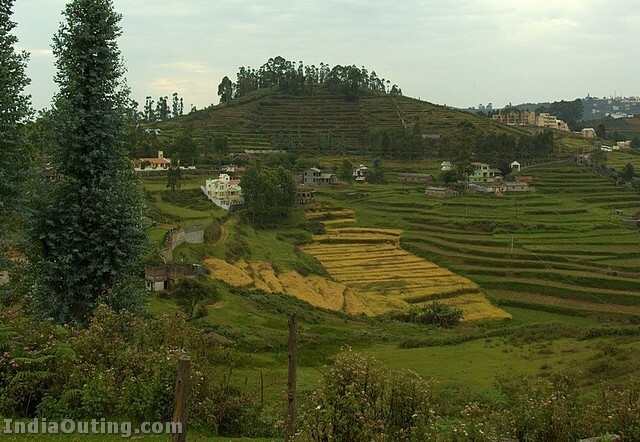 The nearest hill station for us is Kodaikanal called queen of hill stations and the king is Ooty. Munar bordering Kerala state is a very peaceful place and can forget ourselves for weeks together. Can spend at least a week there. What a nostalgic memory. I was in Kodai in 1989 and I still remember the days I spent over there. I regret, even today, wish I had spent some more days to smell the weather. what is the best time to go there? This is the best place to visit for honeymoon couples. enjoy looking at the beautiful sceneries and hope some day to visit a few. thank u for providing these fantastic views. MY NEXT VISIT I WILL NOT FORGET TO GO AND VISIT THIS PLACE. REALLY VERY VERY NICE. Hei its so beauty and its great i hope you can get us some more picture like thise. I have visited all most all the hill stations in India & have traveled across the world. I was very lucky to have visited visit KODAI when I was just 21yrs old as a bachelor. IT IS THE MOST BEAUTIFUL, RELATIVELY UNSPOILED , HOLIDAY RESORT. Do not miss this heaven on earth. What bounty of natural beauty !. It is a visual treat to eyes. Once in a lifetime experience. beautiful place, but not easy to reach from mumbai. it takes around 36 hours in train to reach kodai road from mumbai. has anybody know shorter way ? one of the beautiful place of south side of india. very good collection. congratulate your nature site seeing collection. thanks. All are very nice pictures,really wonderful !!!!………. i want these pics , so send it to my mail……….. k…. …. most beautiful places on earth! It means God also love us right. great place ….do nt miss this enjoy the tamilnadu food…..surely you will remember this in your life time ……. Great article. Interesting writing and good info. Keep it up. Realy this is the place i want to visit with my family….. I just love this kind of dream places….. Really would wish to explore much more than the pics as shown….. 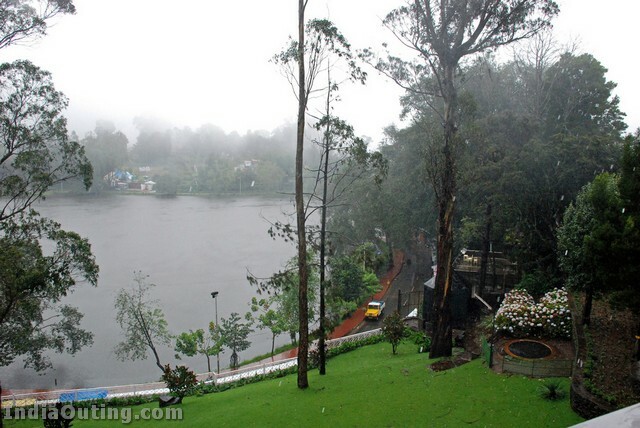 DESPITE UTMOST DESIRE, COULD NOT VISIT KODAIKANAL TILL DATE. WILL DEFINITELY VISIT IN NEAR FUTURE !! LOVELY PLACE AS SEEN IN MOVIES !!! Nice Palce to see . Its wonderful excellent and memorable collection. Thanks for the same. it is a good place in india .it is looking like the second haven of the world.first one is kashmir . i want 2 visit with my life partner………. 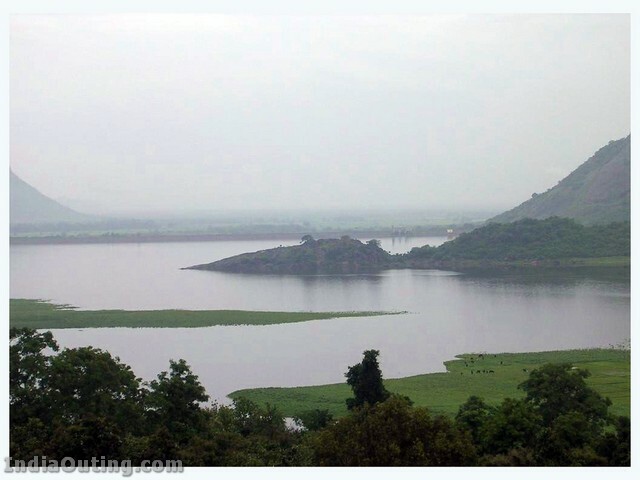 The beautiful location of Tamil Nadu…. We visit this place every year during first week of October. The season will be awesome and tariff’s will be half in the hotels and resorts. This place will recharge and rejunevate ourselves. One week of stay will be excellent. Sitting in the crockers walk and watching the valley for hours together is an wonderful experience. cool, quiet and is a good place to relax. How very beautifully Nature has sculpted this place …. every 1 has 2 visit dis type of place u know its realy beautiful. UH,THIS IS HEAVEN ON EARTH,I TRAVELLED MOST PLACES BT THS IS UNIQUE.I HOPE MY HUSBAND WLL TYK ME THR DURING OUR NEXT TRIP. if god allows me to get united with u , i will hold you firmly. i will not allow u to leave me till my death. Very Beautifull Place ,I Wish I Spend My Time With My Family..
gone thru this article and collections. very nice. we 12 ppl team planning to kodai by end of july’10. thanks for giving such info. Realy this is the place i want to visit with my family…..next time. excellent place, govt. should take proper care such natural beuaites. i can tell you it is a beautiful place to spend your honey moon. it is romantic and natural. i have gone there several time and enjoyed it each of my visits. 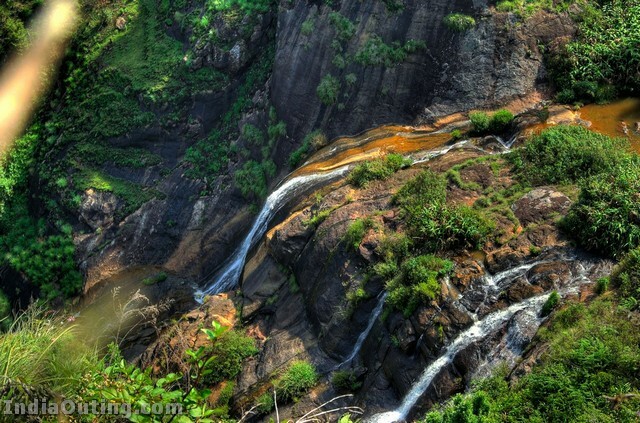 While going there visit koutralam falls its nearby. I haved lived 3 yrs in this place… ask me. there is no better hill staition than this one… U’ll njoy each and every moment here. to relax..the best place is. Kodai international school Football stadium..
and. for.. a little more. Visit meditaion point.. at Bhavans Gandhi vidyasharam,(though not a tourist spot). I LOVE DIS PLACE.. all memorable moments.. of my lyf.. are attached with this place…. GO seee…. dis place once. i can tell you it is a beautiful place to spend your honey moon.this is very beautiful. Such a wonderful place in tamil nadu.. Fantastic place in tamilnadu.. myself & my friends friends went by bike… completely we have enjoyed our driving.. like full of mist in the road,green mountains around, water falls, nice climate, very cool & had a good food.. unforgettable place in life..
amazing places and good claimet nice place. 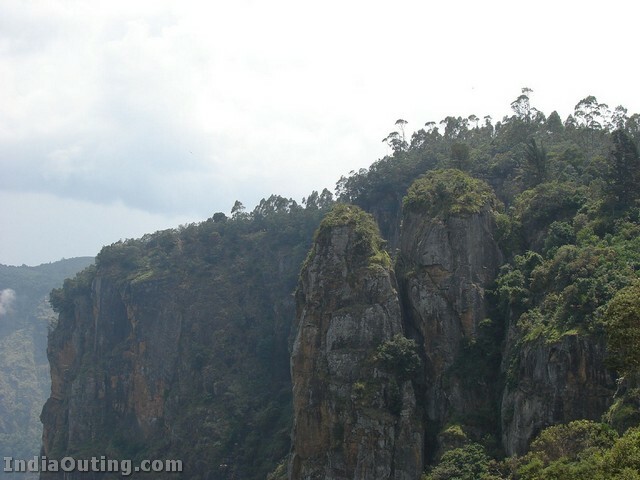 kodaikanal beautiful place with lot of choclates on hill. wonderfull pics & perfect holiday spot. This is so fantastice place to visit in lifetime, I have been there in 1993, bringing back my memories, Thanks a lot for circulating these lovely and wonderful picture. what a beautiful place yaaar !!! Ohthat i visit at this preety place with my family!!!!! there is no other locations as such in the world…. beautiful for a fact that need to be seen to behold the natures beauty. Ooty, Darjeeling, Pelling etc I’v already visited. Let’s wait. I went to Kodi in 1990,I still remember the place and its beauty it has a museum of natural wild life of plants,flowers,birds,animals and trees.It was made by Britisher and is worth seeing. Britishers who must have developed this hill station is a feat to be appreciated. Visited this beauti. in April, 2010. one of the best. That’s Realy Excellent and Beautiful Place which I’ve never Seen in India. amazing place every one must see that. Kodaikanal is really wonderful. In fact it is even better than Ooty which of late has become congested and polluted whereas Kodai is still managing serenity. Nice place to spend a holiday. It is really good. People should get inspiration about Indian natural beauties. en pic k baray ma ya hi kho ga jasa k meary 1 indian friend na kha tha muj say k.
very beautiful places, i liked it much. thanks for being sharing these beautiful moments. It is really nice place to visit. Very nice place seems from photography, if wander on that place its very glorious. holidays there i hope so. I liked it very much.Thanks for saharing. Its really a beautiful place. I must visit here in future. really superb photos yaar… i loved id…. awesome!!!!! Although this time of the year the temperature is almost -8 C, Kodaikanal was beautiful and enjoyable. 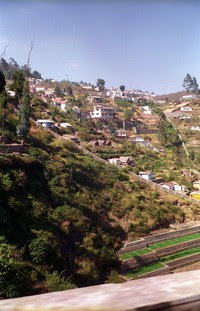 Yes, I have visited Kodaikanal in Jan-2011. It’s a beatiful place, no doubt. But I would advise others to visit Pahelgaon also. Pahelgaon is really a heaven on earth. a great plaes for india………. 30am in dindugal. again we pay to normal bus and came to chennai. kodai is very beautyful place but tour operators are ??? Really it is beautiful, i have visited kodoikanal from 1980s, till now i havea visited more than 20 times, but now a days many youths they use more plastic such as plastic papers, cups, water bottles and so on, and throw these plastic here and there, please dear young friends beware of plastic and keep the nature to leave long, so that ur childrens can also enjoy the beauty of the nature tomorrow that u have enjoyed today. its small hill station but it is very gud, beautiful & peaceful place………. YA.ITS REALLY FINE PLACE ………. i hv visited this place 7 yrs ago and wanna go there again…….. Very nice suggession abt plastic product’s use. Unfortunately the youth these days are careless. Please listen to Shyam. Keep our planet clean. SO NICE FANTASTIC PLACE. I LIKE KODAIKANAL. IT’S VERY SUPER. yah its a nice place. it is really a beautiful place. i had visited there four times. oh.. wonderful. It feels like heaven on earth. Our film producers should look at this and divert their plan to this lovely land of Kerala instead of Switzerland. Am I right ? I have regularly visited Kodai since since about 1980. I worked at the Indian Institute of Astrophysics. Every summer lots of people visited the museum of the observatory and I would talk to them about the exhibits. The I would walk down to the lake after the lunch and do boating. Often it would rain when I would retrace my path back to the observatory. I would reach the observatory completely wet – to take nice hot water shower and dry myself at the fireplace burning pine wood. And then enjoy hot soup served by cook Raju. Today it makes me feel very sad – this “Princess of Hill stations” has been, pardon my language, royally scr**** by in flux of uncivilized, unruly visitors. Tamil Nadu govt. most of the tourist places made commercial. every where they charge money. temple, river, water fall every where. facilities not good. however Tamil Nadu is most beautiful tourist place in the south India. simply superb and soothing the whole heart !! Unless the Government sets up economical facility for Tourist accommodation taken up by the Government, no one can enjoy any beautiful site in India, unless you are prepared to spend any amount of money with ease. You are cheated every where and you are squeezed every where by the Hoteliers, Transport and her business people.Worst thing with the Hotels is Check in and check out. Because of this depending on your entry time you have to pay full day cost to the room, though you will be staying for less than 12 hours. government needs to look in these things and pay real interest in making India a very pleasant country to tour. And The Government needs to issue severe instruction to the Hotel and other business management to invite and treat the guests with respect and courtesy. A Special cell number needs to provided for tourism like an emergency number. Lot of room is avilbale for improving the Tourism in I ndia. Thanks. Going to Kodai on July 9th. Have great expectations. Hope rains will not play a spoiler. 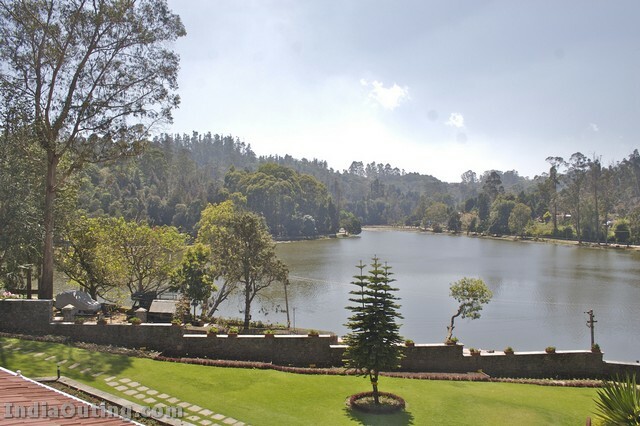 I have been to kodaikanal when I was 10 years old.I remember its beauty now i want to go again.Please suggest a middle class hotel where we can stay. ITS REALLY AMAZING .I WILL DEFINITELY PLAN A HOLIDAY THERE.THNX FOR INORMATION. this is avery beautiful place to visit. one time iwill. I had visited Kodaikanal few years back.It is very lovely & scenic.your pictures reminded me, about my sweet memories of the visit to that place. such a beautiful pic’s and koaikanal like janat. Thank you for wonders of Earth. I have been to Kunnoor and stopped at the Hut. You have inspired me to visit Kodaikkanal and hope one day I will be able to make it to that part of the Tamil Nadu. fantastic!! i had been there when i was small. but after seeing these photographs, feel like going there again! naturally beautiful. i love it…….. Yes. Kodaikanal is a very beautiful place. I have visited it during my college days and many times later (in February 2011). It is still charming as ever. Ofcourse the number of buildings and people have gone up. But hills remain majestic and with a charm of their own. Hope I go there in future also. The cloudiness and cold in the evening is part and parcel of the place and should be enjoyed for what is their worth…. Very Nice Place and So Beutiful….! Realy awesome & beautiful place to visit in South….. I been to Kodaikanal 2 times & realy enjoy my moments ther…..
Tamil Nadu Government should promote this place internationally. beautiful n sansational creature of god..
thanks fun on the net team..
Realy so….. Much I am Very, Very Enjoy KODAIKANAL Photos!! yes beautiful place tour operaters are very cheated. iam from srilanka . i came to kodaikkanal om 1992. This mail refreshed my memories. 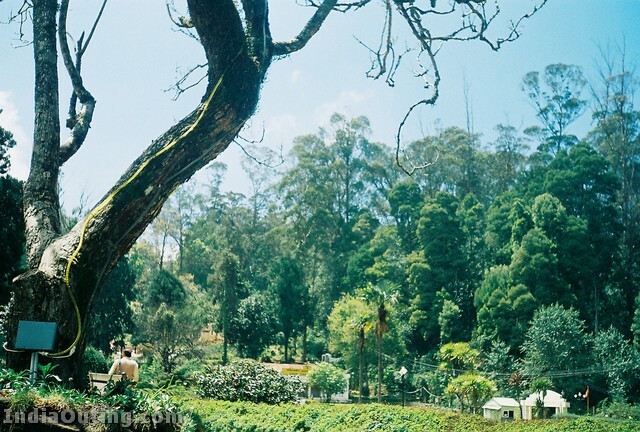 I visited KODAI way back in 1988 and was very much delighted to see the nature, wealth. By going through this mail I very much felt as if I am in KODAI. Superb!!!!!!!!!!!!!!! Thanks. It’s seems to heaven on the earth. There is no words to explain the place. This is the time to have the real touch of nature. Its a Heaven on Earth – cool climate – One should visit it atleast once. India has all things to made it haven. hey great place to enjoy…..
MY WENT TO HONEY MOON THERE. ITS WONDERFUL, I ENJOYED A LOT WITH THIS BEAUTIFUL PLACE. ITS JUST LIKE A HEAVEN. AFTER SEEING THIS WE CAME WITH OUR JOINT FAMILY MEBERS TOTAL 35MEMBER AND ENJOYED THE PLACE KODAIKANAL. THANK GOD FOR THIS BEAUTIFUL PLACE GIVEN TO US. It is a nice place to see and enjoy its natural beauties. It is also having wonderful climate particularly in April and May. Its beautiful place and also it brings peaceful to us.. I thank to GOD.. for such a great creations..
Amazing place, heaven on earth suerly make a plane with my family. Amazing scenes worth seeing in once life. I love to visit. 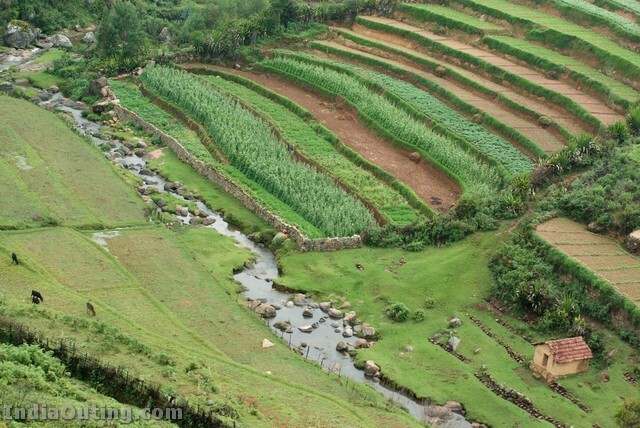 it is wonder full place ,beautyfull pictures,i like kodaikanal. awesome view…nice place.. must want to visit there..
really amazing photos…….my best wishes to u …………u r a guiness recorded man ……..
We went to visit Kodaikanal, it’s very nice climate from maybe 36 centigrade down to 14 centigrade, and nice place to stay for a month viewing only nature. Once I went to this place some 10 years back..very nice sight seeing..it is recommended that a good place to see in the season with your family..
No doubt Kodaikanal is a beautiful place where you can write poems about God’s own land..
this is really beautiful place , everybody have to visit, really wonderful area to enjoy a million tons of happiness………. I didn’t go to this place. so i definitely go to this place and enjoy……….